Westcott Titanium-Bonded Scissors are lighter, stronger and sharper. Lightweight yet durable enough for any cutting job. 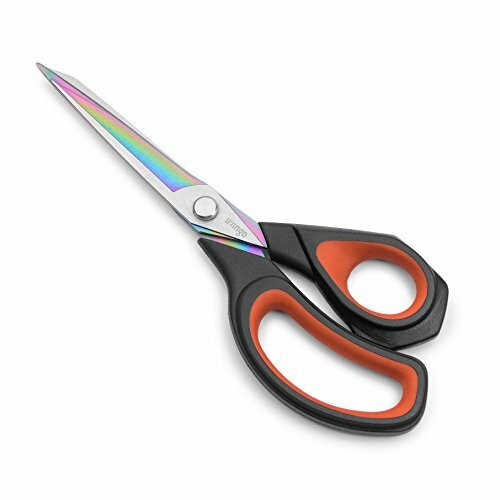 From the Manufacturer: Scissors feature high-performance, titanium-bonded blades that provide three times the strength of stainless steel and resist corrosion. 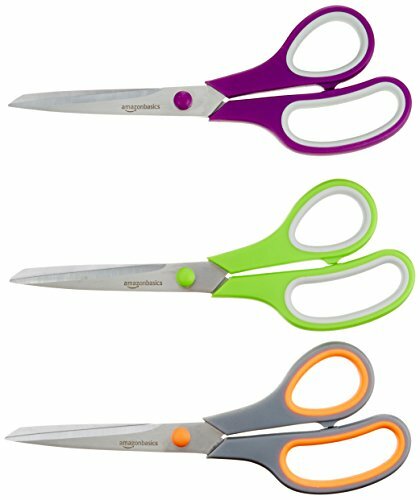 Scissors are ideal for paper, cardboard, lightweight line, fabric and other materials. Straight handles have a contoured soft grip. 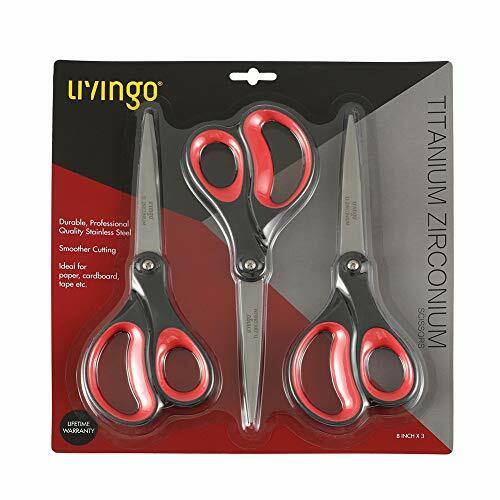 CCR Titanium Scissor 8-Inch,4-Pack Whether cutting paper, cardboard, fabric, or photos, CCR 8-inch scissors make a useful addition to any home or office. Titanium Different from spraying, plating titanium is . It can improves the corrosion resistance and hardness of blade, and resists the adhesive of tape and glue. 2Cr13 stainless steel The titanium blades provides three times the strength of classic stainless steel blades and they stay sharp and effective even after long use. Soft Comfort-Grip Handles The large loop handles fit any-size hand and work well for both left- and right-handed users. 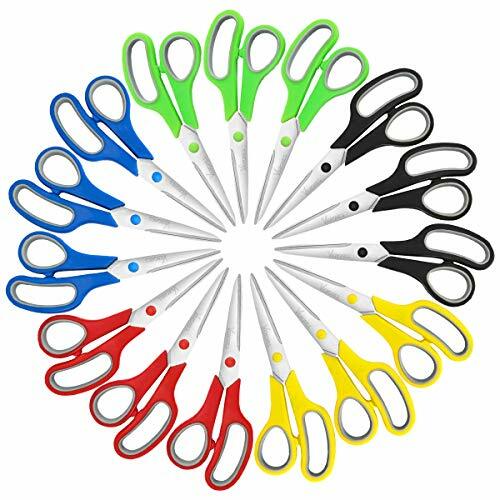 Whether cutting paper, cardboard, fabric, or photos, CCR 8-inch scissors make a useful addition to any home or office. The finestquality stainless steel blades provides three times the strength of classic stainless steel blades and they stay sharp and effective even after long use. The large loop handles fit any-size hand and work well for both left- and right-handed users. 12 packs, the best for you. DURABLE Strong Stainless Steel Rust Resistant Blades: Forging press manufacturing process enables high-density steel that makes 3 times harder than normal stainless steel and are smoother cutting. ULTRA SHARP and ALL-PURPOSE: Easy for cutting more than 16 layers of fabrics. Ideal for sewing, tailoring, quilting, dressmaking, cutting patterns, alterations, hand craft, home and office use etc. MULTI-COLOR TITANIUM coating blades. They are strongly resistant to corrosion and to adhensives such as glue and tape, making them ideal for almost any kinds of tasks. SOFTGRIP handle: Ergonomic design for precision control and max comfort. LIFE TIME WARRANTY: Every Product is independently tested and selected to ensure the performance you expect, for everyday low price. The result is a quality item backed by our commitment to your satisfaction. 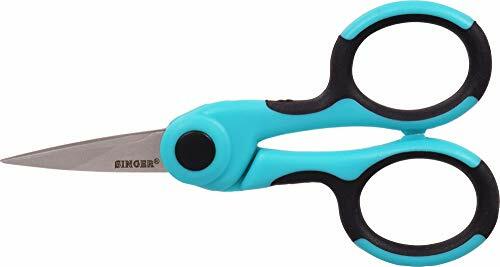 These small and precise 4 -inch detail scissors are made for professionals and sewing enthusiasts alike. The NANO Tip point of the shears is specially crafted for embroidery and detail work, and the rubberized comfort grip handles allow the user to craft without pinching or rubbing. The scissor blades have been individually inspected and hand-tested to ensure quality. Each pair comes with a lifetime guarantee. 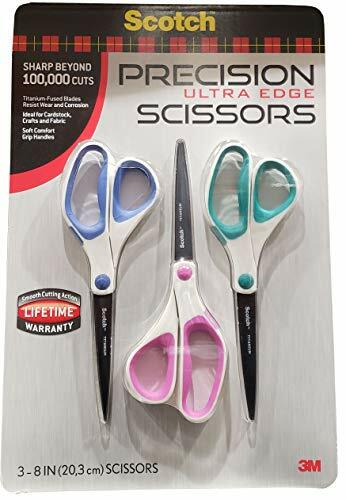 Multipurpose:Whether cutting paper, cardboard, fabric, hair or photos,VERONES 8-inch scissors make a useful addition to any home or office. Stainless steel:The VERONES scissors come with finest quality stainless-steel blades make clean cuts and stays sharper longer. Soft Comfort-Grip Handles:The large loop handles fit any-size hand and work well for both left- and right-handed users. Super deals:15 packs,you deserve to have. 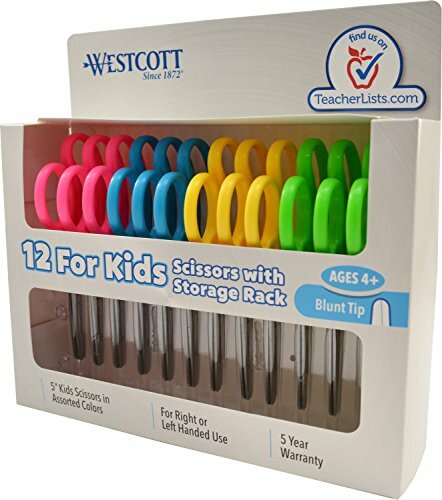 Classroom pack includes 12 CT of Kids 5-Inch Blunt Tip Scissors. Features a soft grip handle ideal for small, growing hands. Single-color pack of blue scissors. 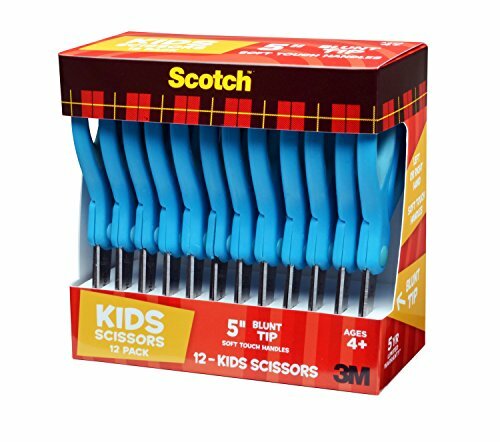 Scotch Kids Scissors are designed for safety and for both left-and right-handed use. For Ages 4+. Ideal for a variety of classroom projects. Winner of the Arthritis Foundation Ease-of-Use Commendation, these scissors make cutting intricate details and tight patterns easy for people with arthritis or limited hand strength. A spring-action design opens the blades after each cut to reduce hand strain, and the high-grade, stainless-steel blades feature a precision-ground edge that stays sharp longer and cuts all the way to the tip essential for anyone who cuts fabric. Additionally, the blades include a titanium coating that is three times harder than steel to provide superior durability and lasting value. 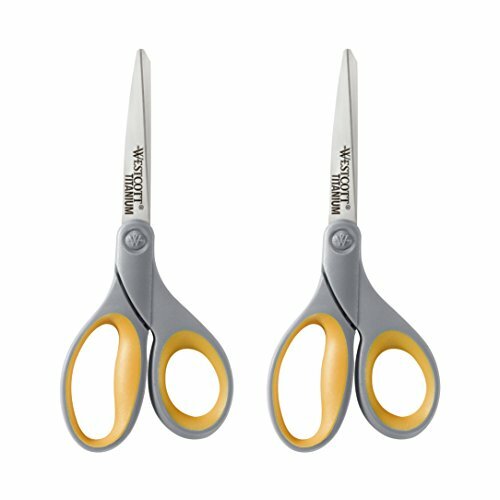 Fiskars Titanium Micro-Tip Easy Action Scissors also include a Softgrip handle for a more comfortable grip. 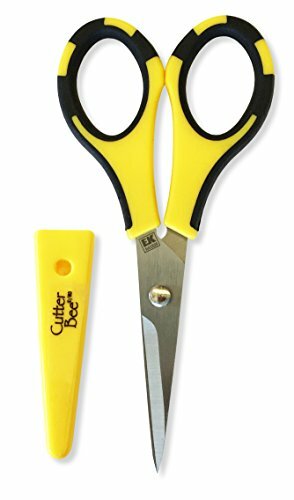 Cutter Bee scissors are a customer favorite and scrapbooking basic. 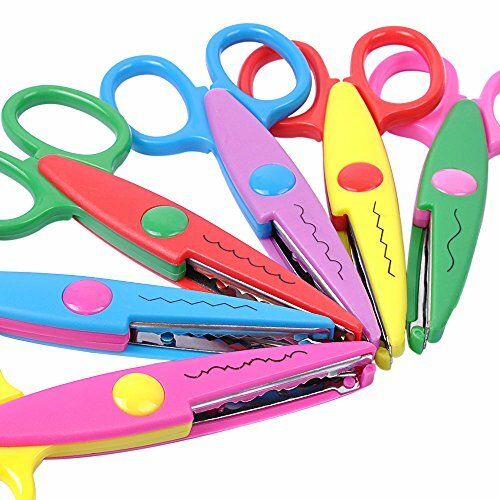 -If you are using a new scissors, it will take about a month as a period of breaking-in.In the meantime, please do not cut thick or hard things, or forcibly handle scissors. -Please wipe off moisture and dirt after use and keep it in the dry place. -Please do not cut metal such as wires and nails. When damage to the blade occurs, the product life will be shortened. SAKAGEN Co.,Ltd, the manufacturer of this item has a long tradition as Blade manufacturer in Sanjo city in Japan, where many good makers of steel made tools and blades have been gathering. SAKEGEN's product had got a lot of prize for their functions and designs. It is hard to rust by fluororesin processing. Made in Japan, Iron is also used inside the handle. Cover of the cutter part is attached. *Color of the cover may vary. Sakagen founded in 1903 is a Japanese company that manufactures and sells scissors for flowers and gardening. LIVINGO is a perfect representation ofinnovation and practicability. It spends endless efforts to study consumerdemand with an aim to create every product that can satisfy our consumers andconvey a brand spirit of delicacy, quality and minimalism to consumers. 100000 times cutting test passed, Anti-rustTitanium treatment, High density stainless steel. 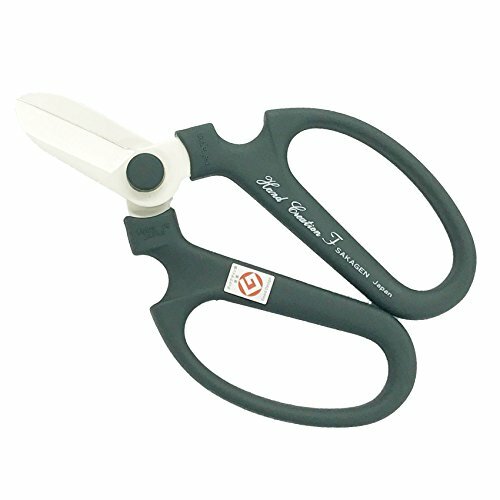 Strong crafting scissors with lightweightand softgrip handle. Ideal for paper, cardboard, plasticpackages, fabric, tapes etc..
Life time warranty: to obtain warrantyservice, please contact LIVINGO by email. 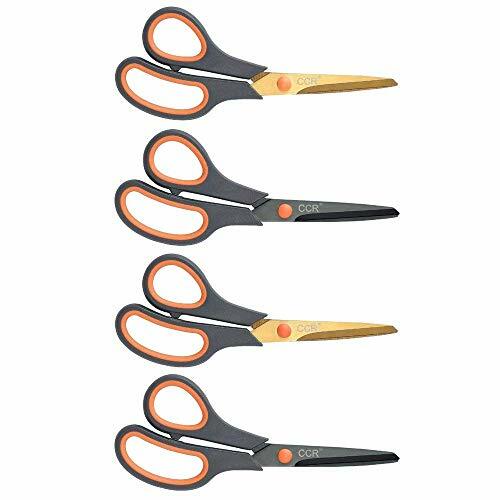 DURABLE Strong Stainless Steel Rust Resistant Shears: enables high-density steel that makes 3 times harder than normal stainless steel and are smoother cutting. ULTRA SHARP and ALL-PURPOSE: Ideal for paper, cardboard, plastic packages, fabric, tapes etc. TITANIUM ZIRCONIUM coating blades, 8.3 Length, 3.1 Cut. They are strongly resistant to corrosion and to adhensives such as glue and tape, making them ideal for almost any kinds of tasks. SOFTGRIP handle: Ergonomic design with lightweight for precision control and max comfort. LIFETIME WARRANTY: Every Product is independently tested and selected to ensure the performance you expect, for everyday low price. The result is a quality item backed by our commitment to your satisfaction. It is a 8" scissor, 3 pack. These are titanium-fused blades. It stays sharper longer, 4x harder than stainless steel, greater resistance to corrosion than stainless steel. It have soft comfort grip handles, added comfort, the colors may vary. Lifetime smooth cutting action, tension control for premium performance. It is individually hand tested, ensures finest quality and maximum performance. 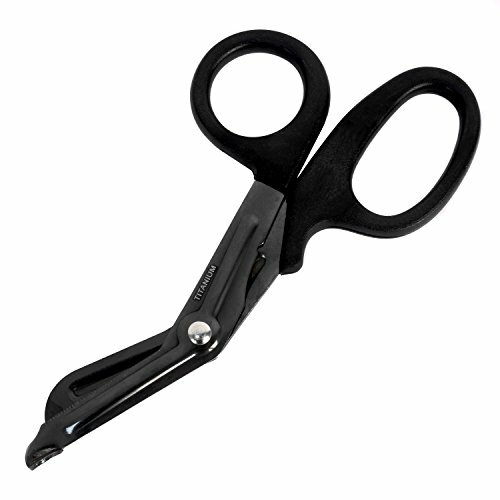 This is the Kai 5130DC: 5-inch Double Curved Scissor. It is popular in embroidery projects, quilting tasks, and appliqu projects. The blades' stainless steel with Vanadium allows for a sharp cut with lasting results, all-the-way to the tip. These Right Handed, 9.7oz Tailor shears are not your average scissors. They are a fine tuned instrument with all the qualities you could want in a pair of top of the line cutting shears. The 4.15" precision razor sharp blades extend all the way to the tip for intricate and detailed work. 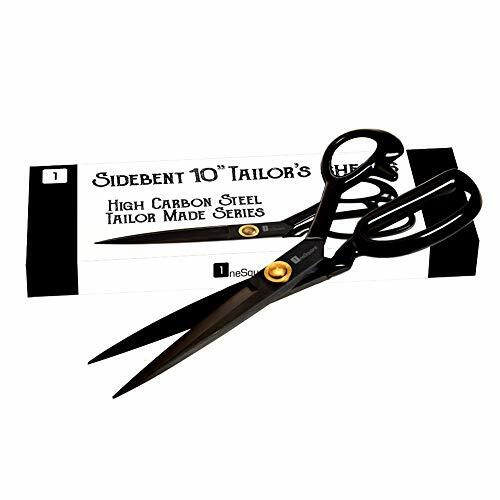 Allow your creativity to flow with OneSquare's professional heavy duty black industrial carbon steel anti-rust 10" side bent tailor scissors. When working with OneSquare's 10 Inch Tailor Scissors you are not just using any scissors, you're working with a tool of the trade. Your scissors come lightly oiled for fast and clean cutting. Before using your scissors be sure to wipe them down with a clean dry cloth. Garden shears can cut branches up to 0.5 inch in diameter. This trimming scissors makes it easy to cut branches and make the branches very smooth. 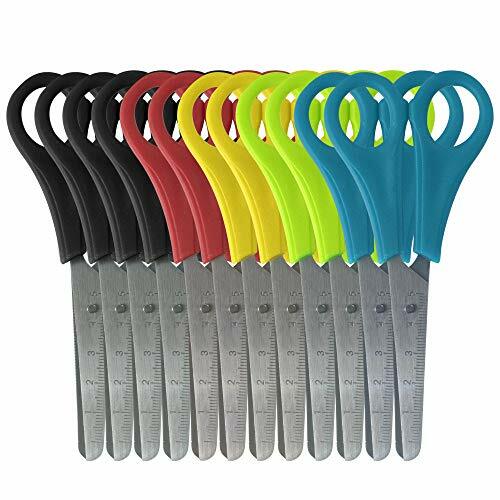 This garden scissors with a plastic non-slip handle, comfortable grip, rebound quickly, greatly reducing hand fatigue landscape trimmer. High-quality stainless steel precision sharp. * Made of premium strong stainless steel, lightweight, robust and built to last long. * Polished coating ensure long lasting sharp and effortless cut. * Trim or cut branches (0.5 inch in diameter), trees, vines, flowers, plants, small bushes, just about any garden plant. 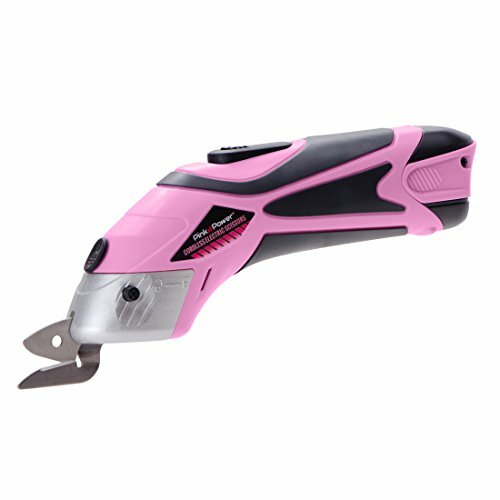 * The curved blades are ultra sharp and deliver quick cuts with minimal effort, cutting live branches with a clean and smooth cutting surface for your garden trimming and flower pruning. * With safety lock button, the blades can be hidden to ensure safe storage. * The ergonomics handles are shaped for comfort and features a soft-grip coating for stability. * Hand pruning tools pruning trees. Hand pruning tools pick fruit,Branch, shrubs, hedges and orchards, while still being accurate to the best rose stems, bonsai, ornamental plants and flowers. Ideal trimmer for male, female and arthritic patients. * Also a good idea for cutting craft sticks(wood,Bamboo sticks or Small log). PREMIUM MATERIAL: Crafted of high carbon stainless steel with ultra-fine polishing technology, which is strong and abrasive resistance, the blades are heavy duty and will stay sharp for a long time. LOW EFFORT EFFECTIVENESS: Curved sharp blades ensure quick and clean cuts, and the embedded spring brings a comfortable bounce to your cutting action. Perform extraordinarily well in all major gardening tasks or Handicraft, such as tree trimming, flower pruing, picking or shaping,Craftsticks, bamboo sticks cutting, works well for both cutting live green plants and dead or dried-out plants. SAFETY DETAILS: With convenient safety switch lock and effortless spring which help to hide the blades during rest, and allow for easy and safe storage. ERGONIMIC HANDLE: Ergonomically designed angled PP handles fit nicely with your hands and the soft covers ensure maximum cutting comfort and non-slip grip. 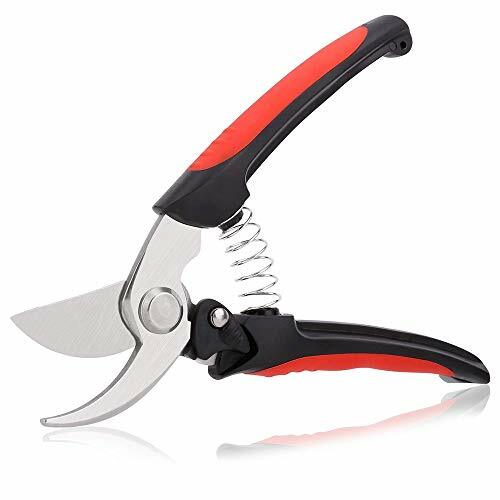 A MUST-HAVE GARDENING TOOL: A professional sharp and reliable pruning shear, less energy required while enjoying your gardening. ALL INCLUSIVE ELECTRIC SCISSOR SET: Each purchase of our power scissors comes with (1) PP361LI electric scissor unit, (2) blades, (1) charger, (1) lithium ion battery, and a full one-year warranty. NO HASSLE POWER SWITCH: Replace your rotary cutter and other sewing accessories with our battery powered heavy duty craft scissors. Two specialty blades will allow you to zip and snip through any project big or small and the easy to reach power switch takes pressure off of crafter's hands. POWER THROUGH THICK AND THIN MATERIALS: Easily cut through fabric, leather, carpet, metal, paper, corrugated cardboard, plastic, wrapping paper and more. Great for craft projects, cutting fabric, dressmaking, sewing, quilting, scrapbooking or just opening packages. No need for a craft cutting mat. UP TO TWO HOURS OF CONTINUOUS CUTTING TIME: This professional electric cutter doesn't require additional batteries and comes with our rechargeable lithium-ion battery which offers a full 1-2 hours of usage. 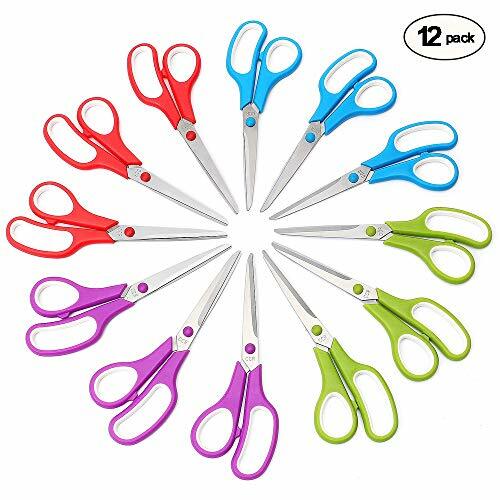 COMPACT AND LIGHTWEIGHT WITH ERGONOMIC HANDLE: These crafting scissors weigh less than one pound and are less than nine inches long, making them easy to store and carry. Scissors work for left handed and right-handed users.